This article assumes you are already familiar with using GHCi interpreter, and can run simple programs well enough using ghci, or even runhaskell command. Haskell’s compiler (not interpreter) is called GHC, which behaves somewhat similarly to GCC when compiling simple programs. Unlike ghci, it is a full fledged compiler, and can be used to build production ready software binaries. 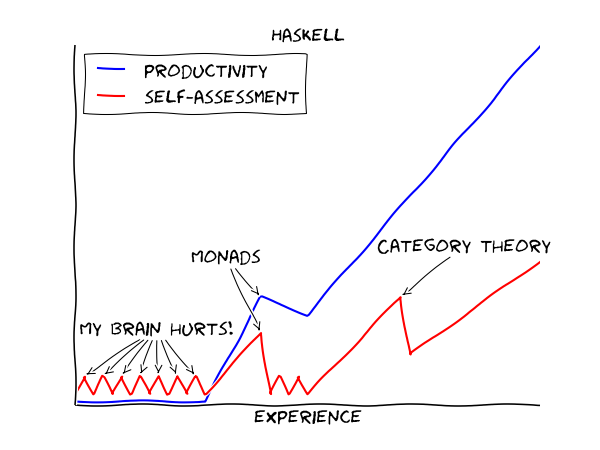 Once you know how to create haskell projects, the scope of your haskell programs will increase exponentially. It is also important to understand these concepts, in order to understand pre-existing haskell projects. This will create a few files: [t t.hi t.o] apart from the original t.hs file. You do not need to worry about the .o and .hi files. You can run ./t to run your shiny new program. Type your name, and it will greet you. You now ask, why can’t you just do runhaskell t.hs? It behaves similarly, and that’s what most people use for toy examples. It basically compiles and runs the program in a single command, and does not create any ugly .o or .hi files. Wait, now we need tools on top of the compiler? Haskell’s build system provides a lot of functionality, and build tools standardize some of it. In C++ world, CMake can be considered a build tool, albeit it is quite free-form as well. cabal: Old and reliable workhorse. It is quite possible that every single post-2010 haskell project uses cabal. stack: New, fancier, and somewhat backwards compatible. Many haskell projects added stack support, thanks to functional / reproduceable builds, and better dependency management. Stack was developed as a replacement for cabal, although it is almost completely backwards compatible. Both provide similar functionality, but stack was the first to add a clean non-system-level dependency management. Cabal has since added a similar functionality, but we will focus on stack in this article. This would take some time, the first time around. This is because stack is downloading its own version of GHC (so that it does not conflict with your system installations). Once it is finished, you should see a new folder of the name my-cool-project. If you enter it, you may see the following folder structure. Haskell projects conventionally have project names comprising of one word, or two/three small words separated by hyphens. README.md: The main readme of your project. Make sure you put a nice description of your project in this file. stack.yaml: Configuration for stack. Contains instructions about where to download dependencies from, what sort of versions to select etc. package.yaml: Your project’s build configuration. It lists dependencies of your project, the binaries to build, the libraries to link, runtime commands, build commands etc. More on this in the section on dependencies. You should definitely edit this file’s initial few lines, since they describe your project, and you (its maintainer) in more detail. my-cool-project.cabal: File generated from package.yaml by stack, for backwards compatibility. DO NOT EDIT THIS MANUALLY. Stack will ignore package.yaml and use this file, if you edit it manually. It is safe to delete this file, stack will regenerate it automatically. LICENSE: The license your project is available under. Remember to write your name inside thie file. ChangeLog.md: An optional changelog that you can maintain for your project, to help users during version upgrades. Setup.hs: This file can be ignored for now. It allows for very complex build configurations, although is not required in almost all cases. app folder: This folder contains your main function, among other code from your project that will not be useful for people who may import your project as a library. This folder often contains a single file, which launches some function placed inside src, although you are free to put any Haskell code here and use it as it is. src folder: This folder often contains the major code of a project. See src/Lib.hs for an example file. The main function is present in app/Main.hs, which calls the someFunc function in src/Lib.hs. test folder: This folder contains tests for your code. More on this in the section on writing tests. Before we do this, you should look at the files app/Main.hs and src/Lib.hs, if you haven’t already done so. Also note, stack does not use anything from your system installation of haskell/ghc/cabal. Thus, we will build and run our program in a slightly different fashion than before. Note that my-cool-project-exe is the name of your project’s executable, which stack will run in the correct environment, where all the configured dependencies etc are available. You can modify some of the code (go do it! ), run stack build and then stack exec my-cool-project-exe to re-run it. Quick note: If your project requires CLI arguments to run, you can pass them in this manner: stack exec my-cool-project-exe -- arg1 arg2 arg3 .... The arguments before -- are interpreted by stack, and the ones after it are passed directly to your binary’s environment. Now that the basics are out of the way, let us look at how to structure Haskell project source code. Note that the file name and the module name match exactly, except for the .hs. If they do not match, your code won’t build. Modules are a neat way to organize your code. You can keep related functionality in a single module, which makes it easy to search for functionality around your code. What if you want a deeper nesting level? Or, have you wondered how they made a module of the name Data.Text? This can be imported in any file using import MyLib.MyFancyLogic and its variants. The above is all well and good, until you start running into frequent name conflicts. In the format shown above, all modules export all the functions and types defined in them. This is not just annoying, but it also prevents the compiler from optimizing things further. This is because more optimizations are possible while compiling the module, if the compiler knows which functions will not be used in any other external context. Notice the definition of SomeTypeWithoutItsFxns. Exporting this will allow other modules to use this type in their type signatures. But remember, the data constructor SomeTypeWithoutItsFxns will not be available for use. In addition, unexportedMember1 and unexportedMember2 will also not be available. They are called accessor functions, see below. f myObj = member1 myObj   -- Not the best code, but shows what member1 does. This is somewhat like myObj.member1 if you are coming from an object oriented background. This will export whatever is defined as something in this module. It can be a plain value or a function (they’re technically the same :smile:). Writing this in your exports will export everything exported by MyMinorExports. That means, if MyMinorExports exports myVal, everyone who imports MyExports can also access myVal. If MyMajorExports exports a type SomeType with its accessor functions, these will all be exported to modules which import MyExports. This is very similar to the export of someFxn, but in this case this function is exported from another module. The haskell language has a very small set of built in functionality. Most other functionality is imported from modules made available through dependencies (external packages). Stack handles that for you very neatly, but it still requires a small amount of effort. First, let’s see how to find functionality which has already been implemented. Let’s say we want to generate a random integer. Go to stackage.org (or hackage.org), and search for random in the search box. The first link says package random. A package is a haskell library / project, which can be used as a dependency. Note the URL of the page after clicking on this link. It should look like: https://www.stackage.org/lts-11.3/package/random-1.1. Here, random is the name of the package, and 1.1 is the version whose documentation is shown here. After this, you need to run stack build, and it will automagically download the required dependencies with appropriate versions. Here is a test I wrote for a project of mine, for example. You need the hspec package to write tests in this format. Tests can be run using stack test. Describing the syntax of hspec is out of the scope of this article, so I urge you to visit the documentation / examples on hspec’s website and play with it.